Take advantage of our exclusive Limited Time Offer to escape to the heart of Singapore with the city’s highlights at your doorstep. For a limited time only, enjoy 30% savings on our Best Available Rates and an additional 5% savings when you log in and book as a DISCOVERY member. Located in the heart of vibrant Marina Bay, a stay at the Pan Pacific Singapore is your assurance of world-class service and five-star luxury accommodation. 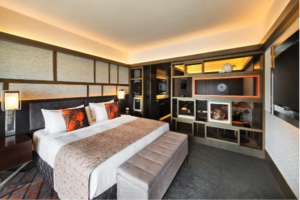 Luxuriate in a perfect blend of comfort and elegance in our stylish rooms and suites that are backed by the state-of-the-art in-room technology, complimentary wireless Internet connectivity and sweeping panoramas of Marina Bay or the city skyline. For an enhanced stay, experience the exclusivity of the Pacific Club, offering unparalleled views of the city and the South China Sea from our hotel’s top floor with exclusive privileges including Champagne breakfast, afternoon tea and sunset cocktails and canapés. 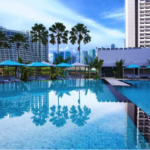 With the shopping and dining options available at the three shopping malls that Pan Pacific Singapore is connected to, the convenient location of the hotel promises something for everyone. 30% savings on Best Available Rates and an additional 5% savings when you log in and book as a DISCOVERY member. Available for bookings from now until 22 May 2017 and for stays until 31 August 2017.